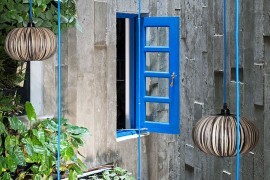 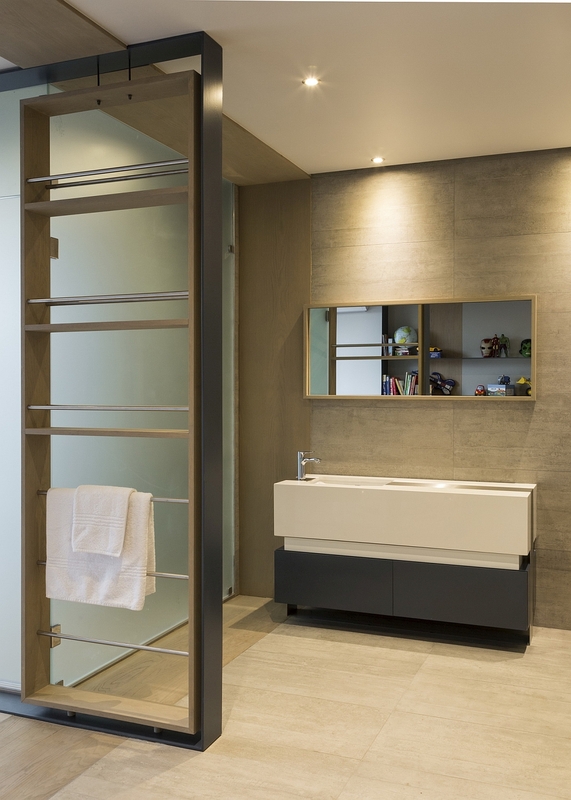 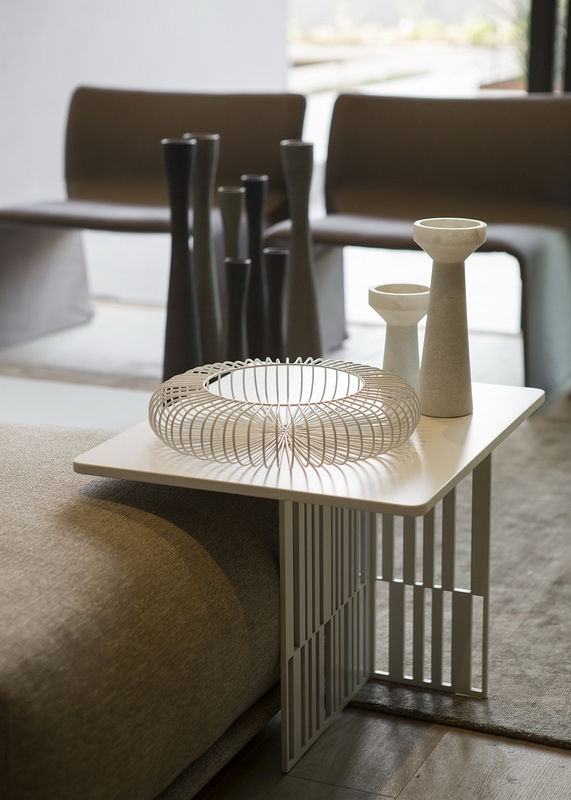 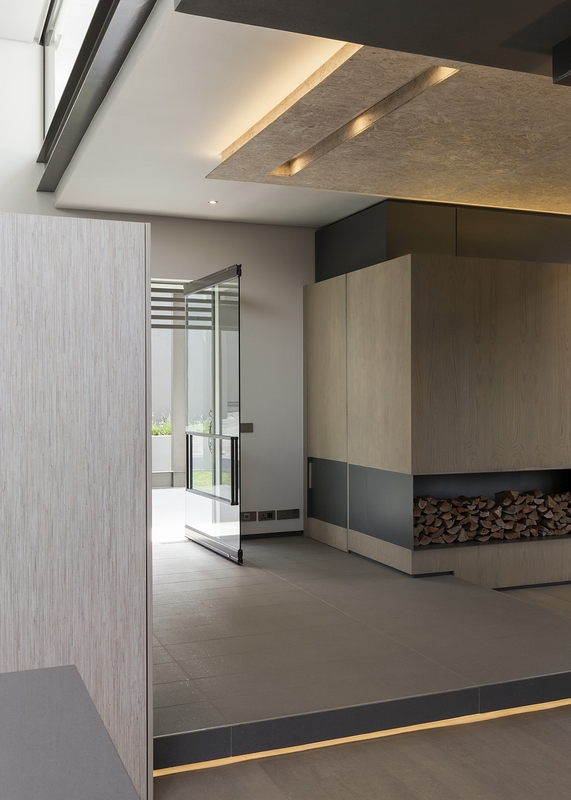 Opening up a home with limited views and ventilation to the world outside and giving it an entirely new, cheerful ambiance is a task that requires both skill and imagination. 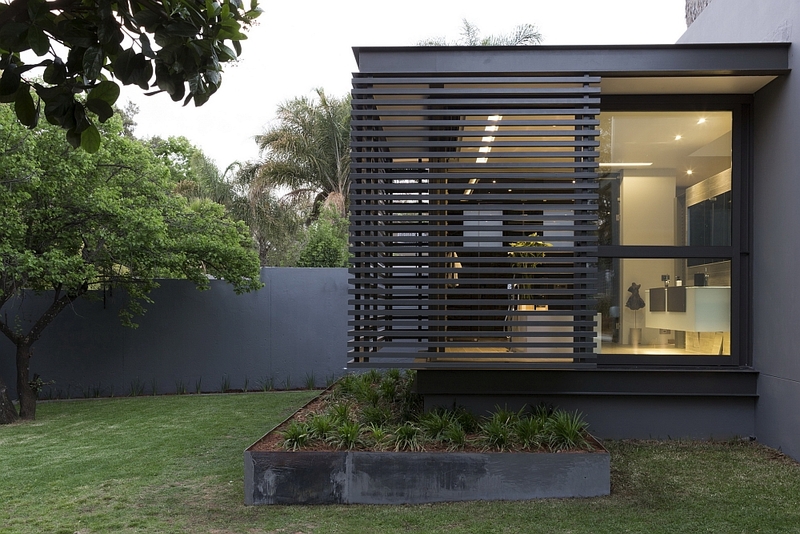 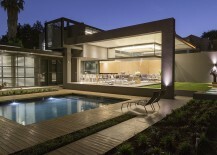 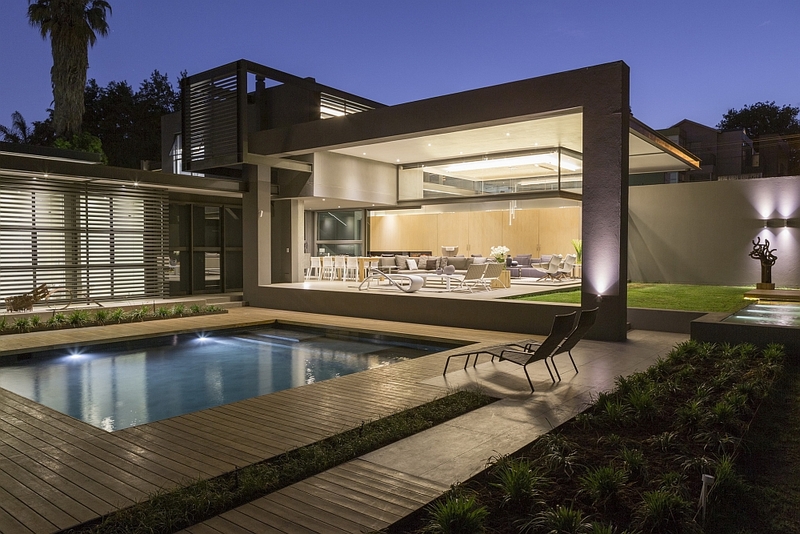 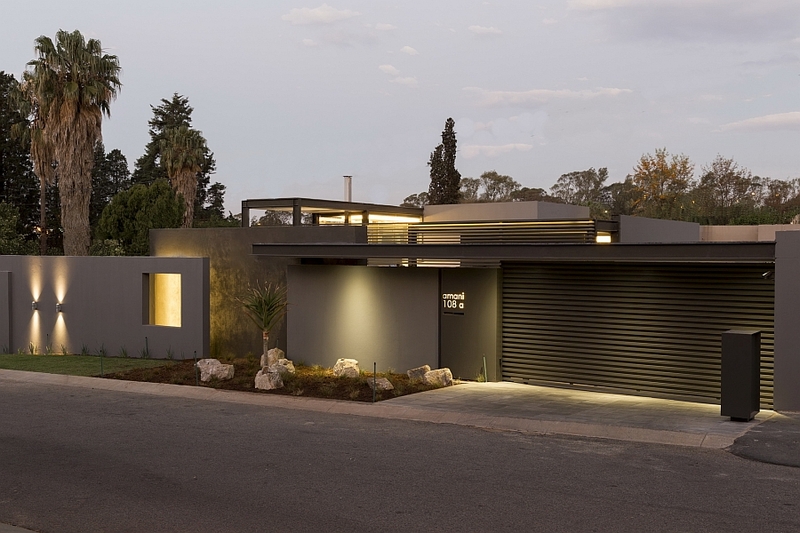 Located in the lovely suburb of Athol, Johannesburg, House Sar designed by Werner van der Meulen brings together an air of contemporary luxury and exclusivity. 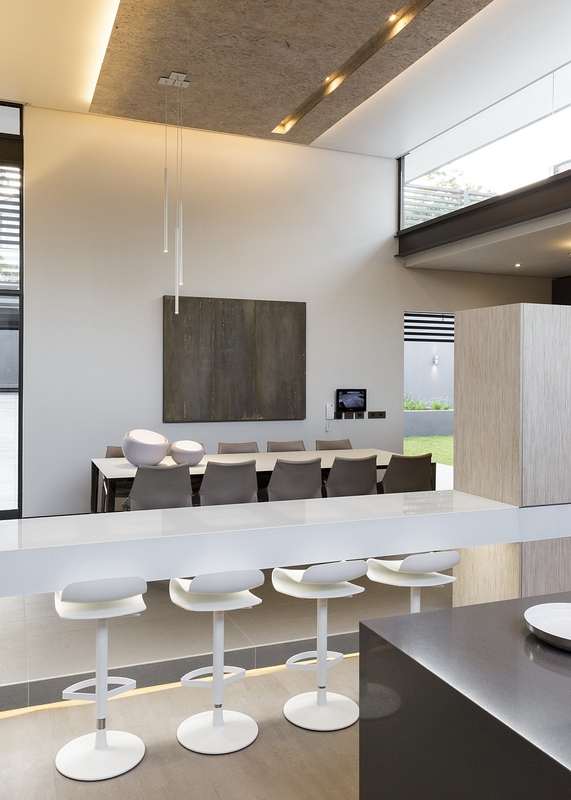 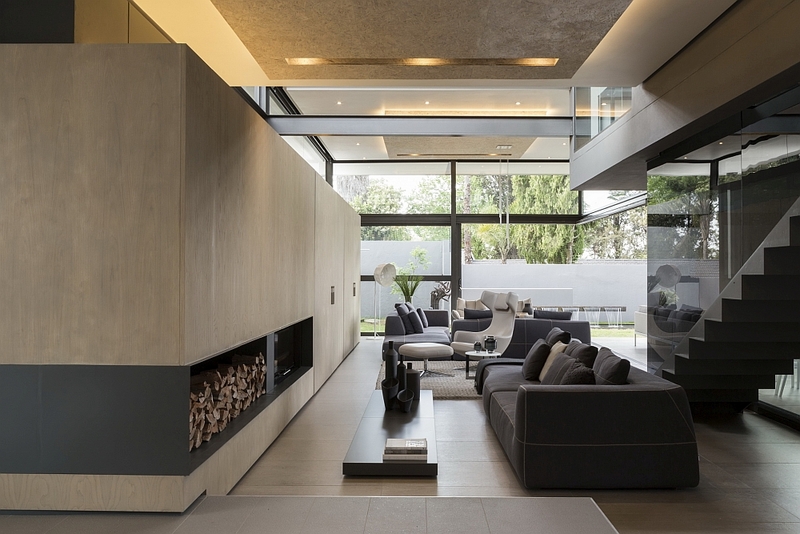 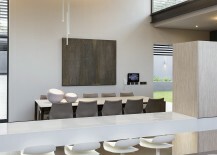 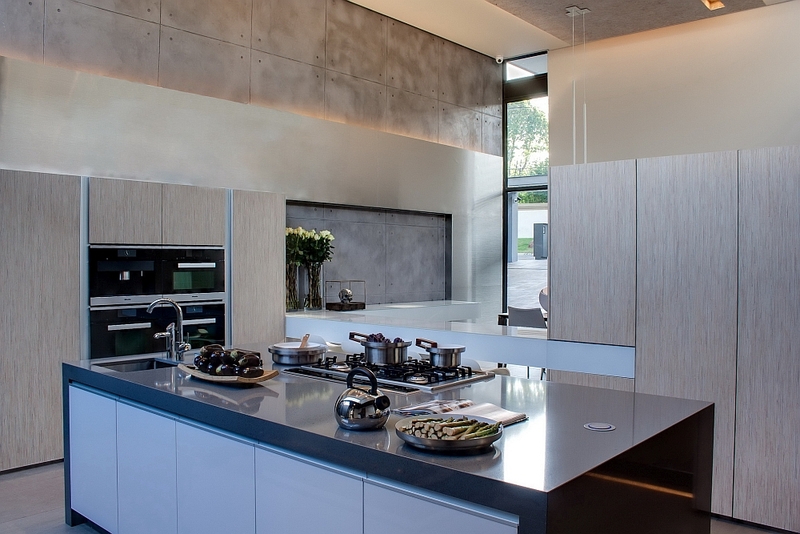 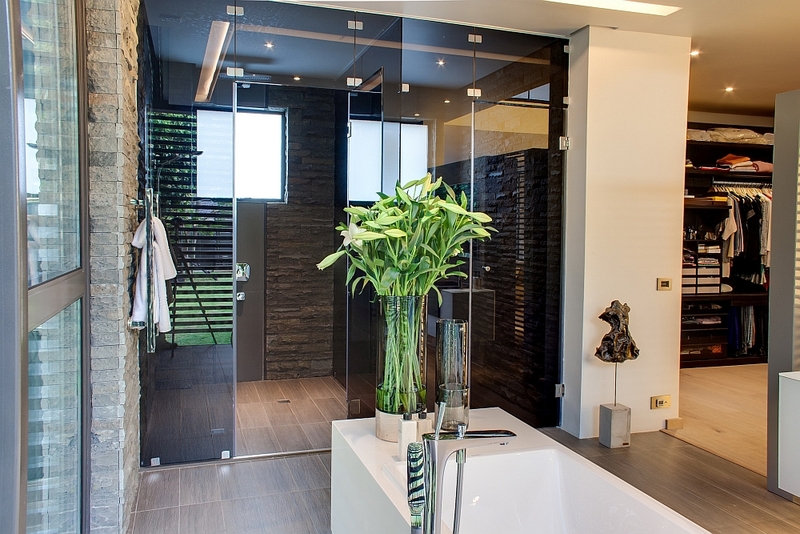 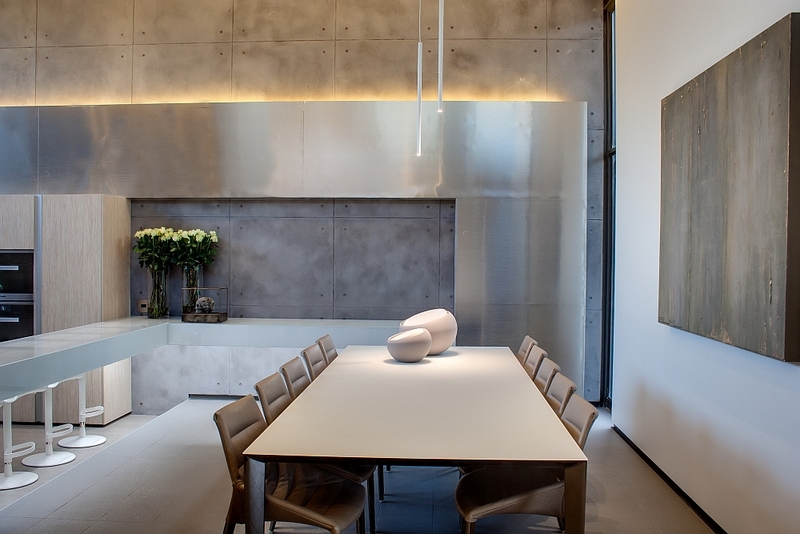 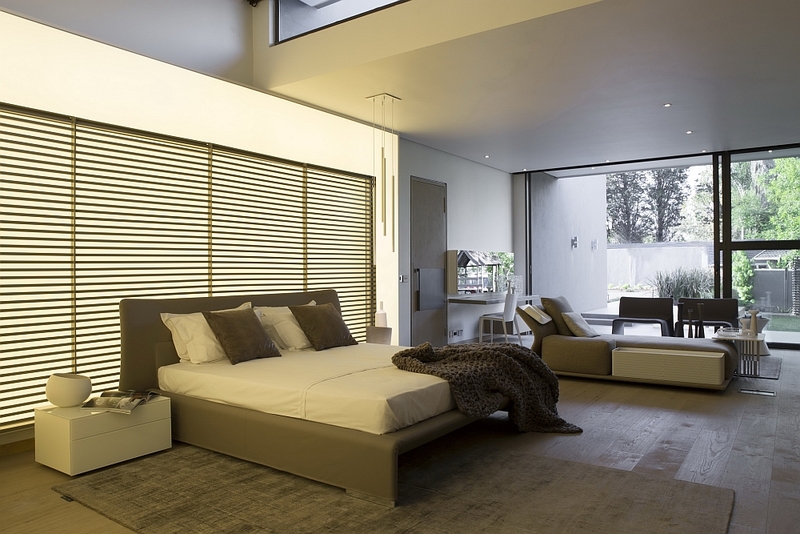 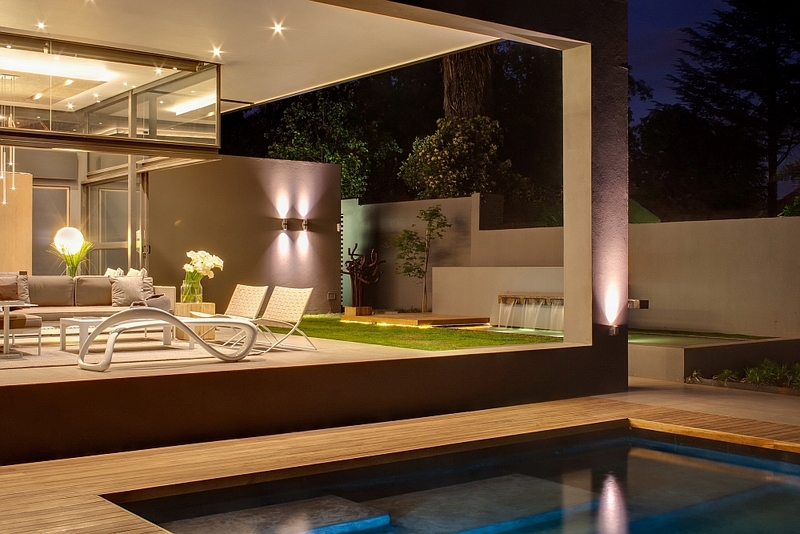 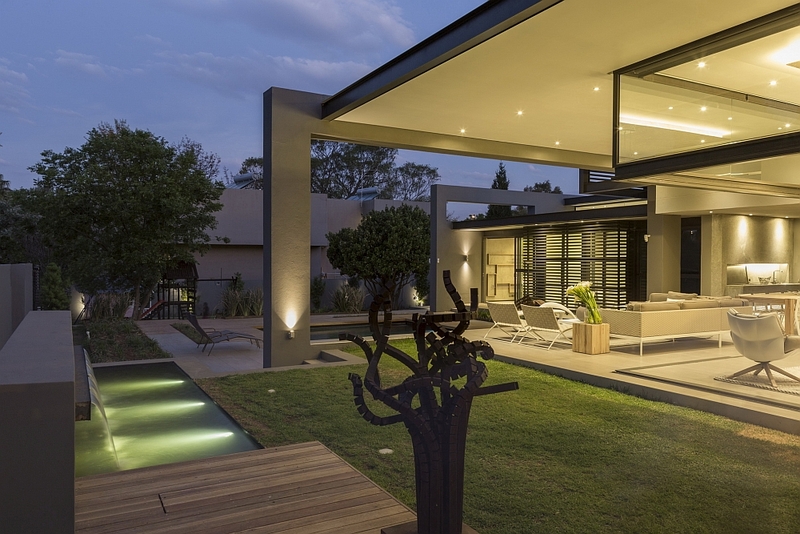 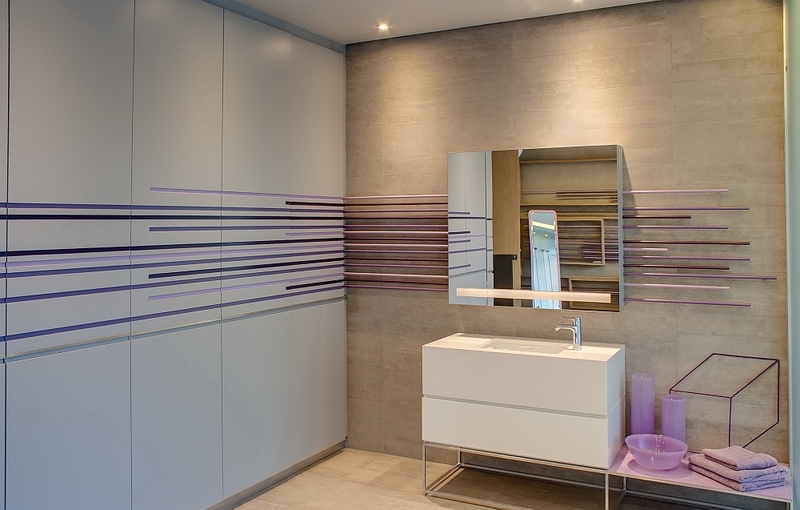 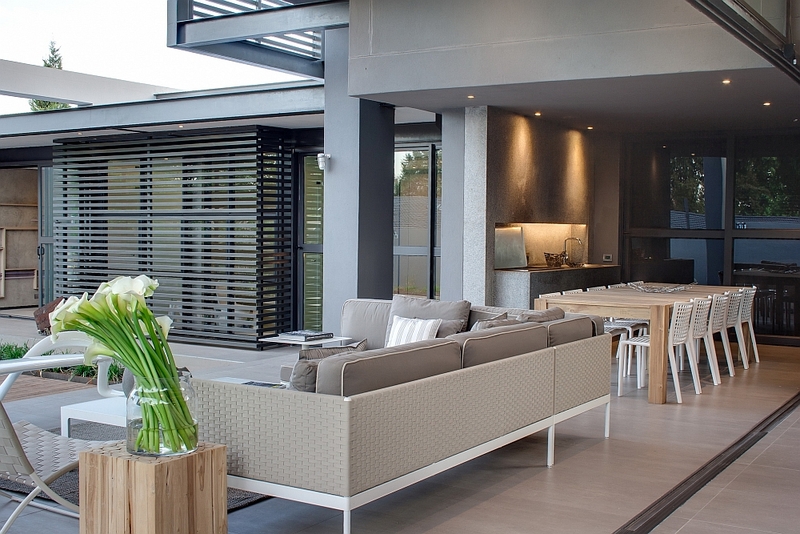 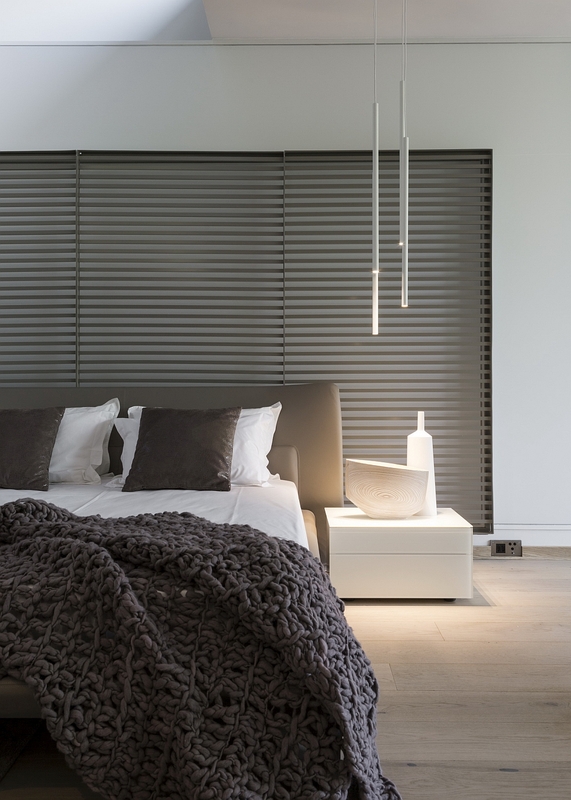 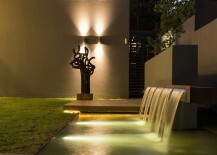 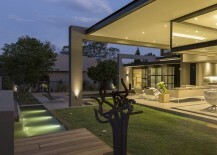 The house has many of the trademark features that one comes to expect from a Nico van der Meulen Architects creation, as high-end plush decor, a neutral interior with textural beauty and a dramatic exterior welcome you into a world of opulence. 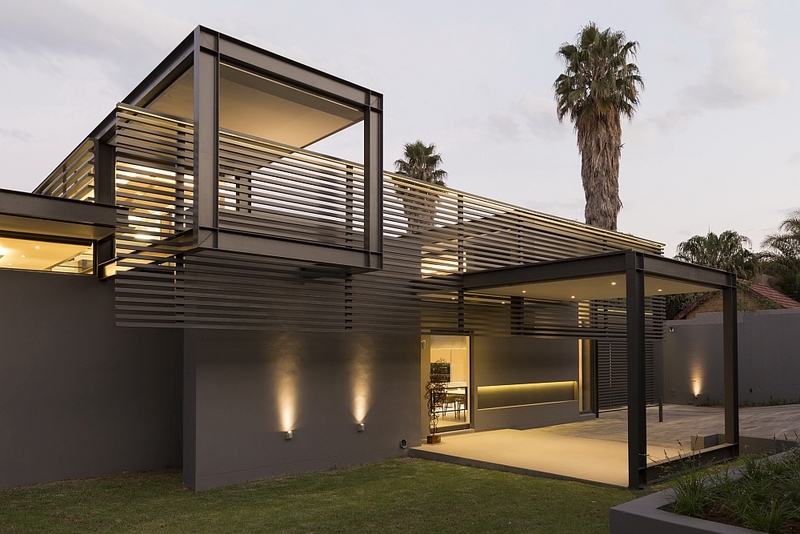 An intricate framework of steel columns and beams greets you at the entrance, even as the street façade in dark gray offers complete privacy. 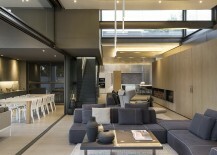 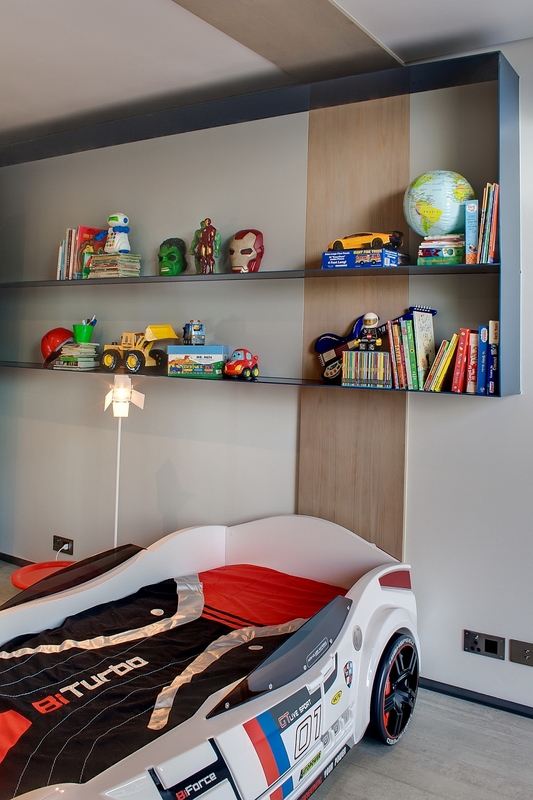 Four carefully concealed garages lead the way to the entrance hall and the spacious living zone. 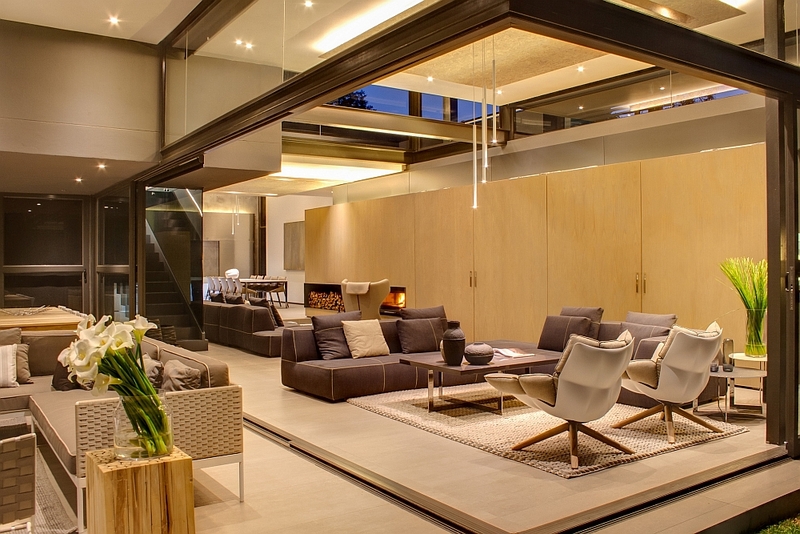 Ensuring that every room of the house is flooded with adequate natural light, raised passage roofs and an indoor atrium transform the atmosphere of the large living area. 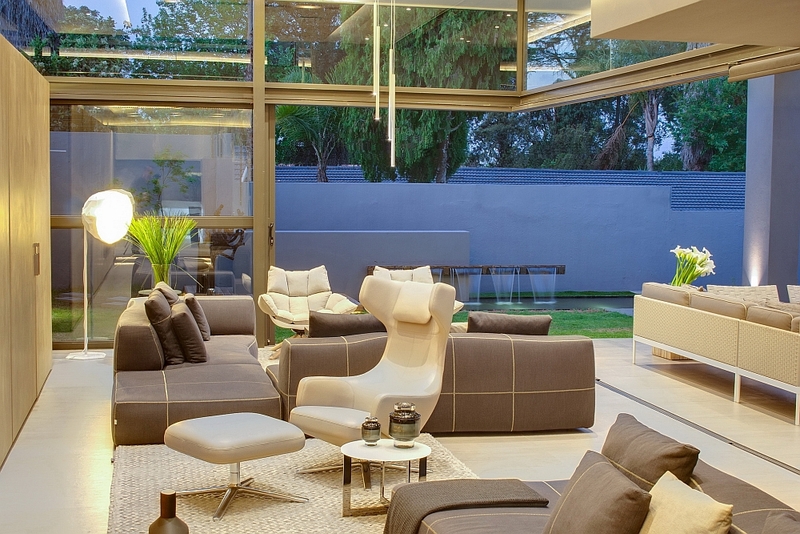 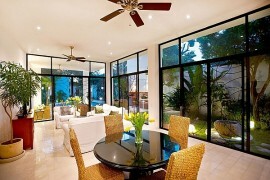 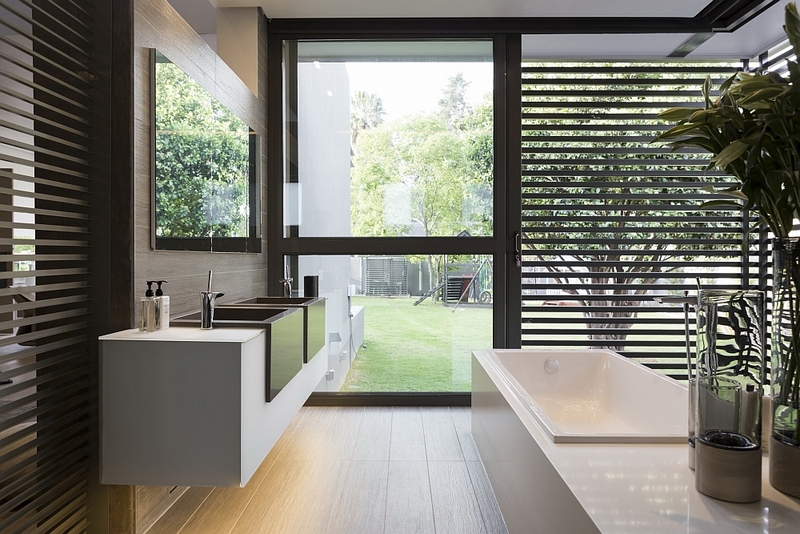 The double-volume living spaces also benefit from the use of large sliding glass doors, which not only connect the interior with the garden outside, but also bring in additional light. 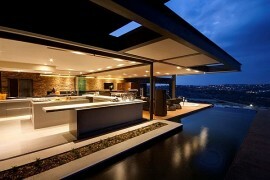 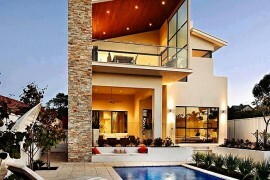 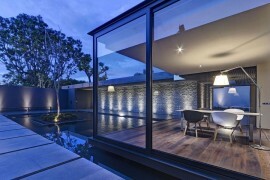 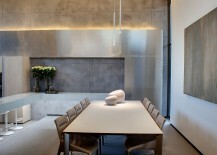 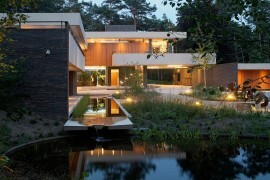 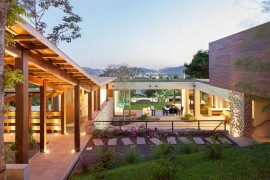 It is this seamless connectivity between both zones that defines the overall design of House Sar. 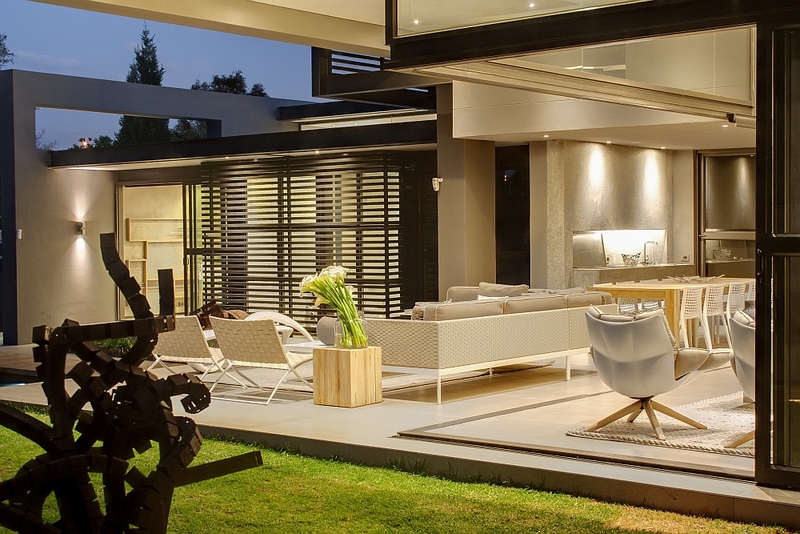 An open plan kitchen, dining area, lounge, family room and a porch allow for a flawless transition between the living space and the backyard. 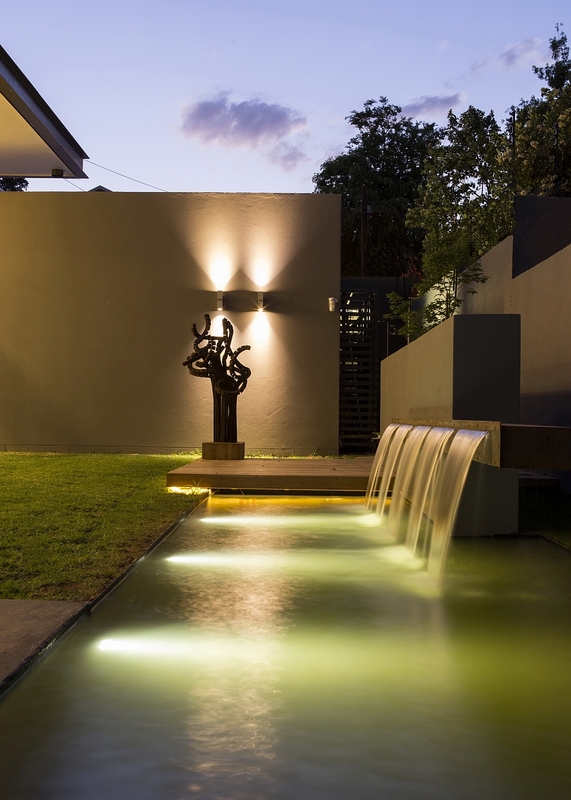 Complete with a cool water feature, refreshing pool and tranquil gardens, the outdoor area becomes a natural extension of the interior and is even accessible directly from the luxurious bedrooms. 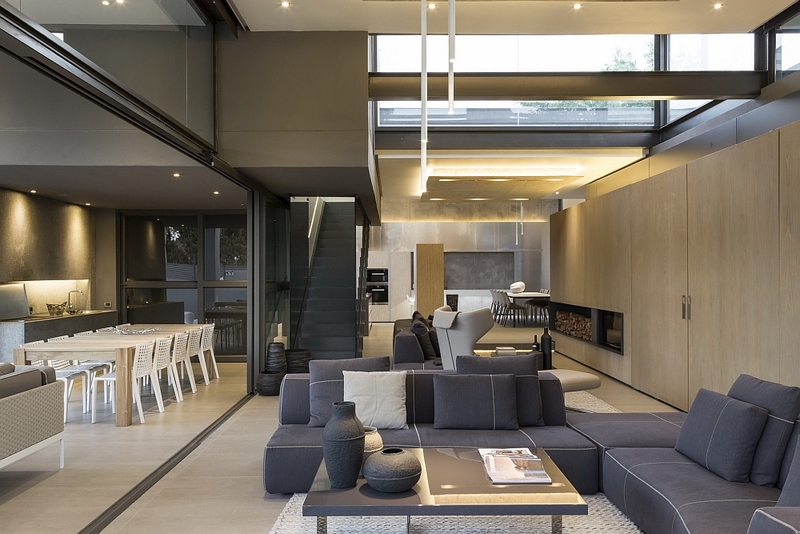 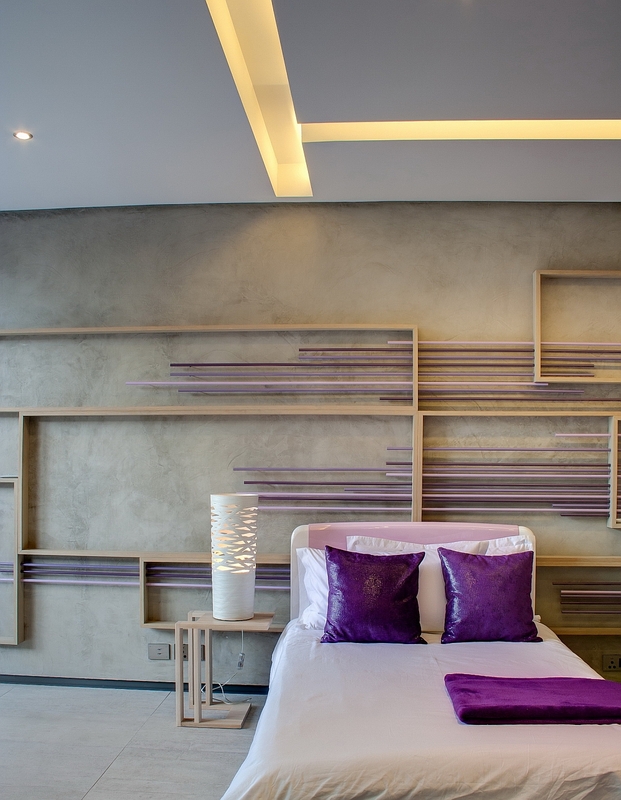 Walls with varied texture, brilliant lighting and top-notch furniture from M Square Lifestyle Necessities complete this captivating South African home.